I wrote about my fabulous January finds, and one of which was a set of picture frames from my local charity shop warehouse for £1. 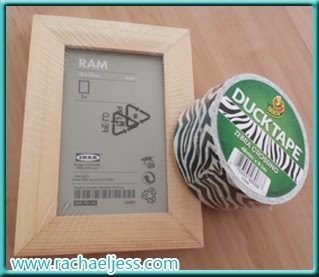 I took one of these picture frames and covered it with Blue Duck Tape. 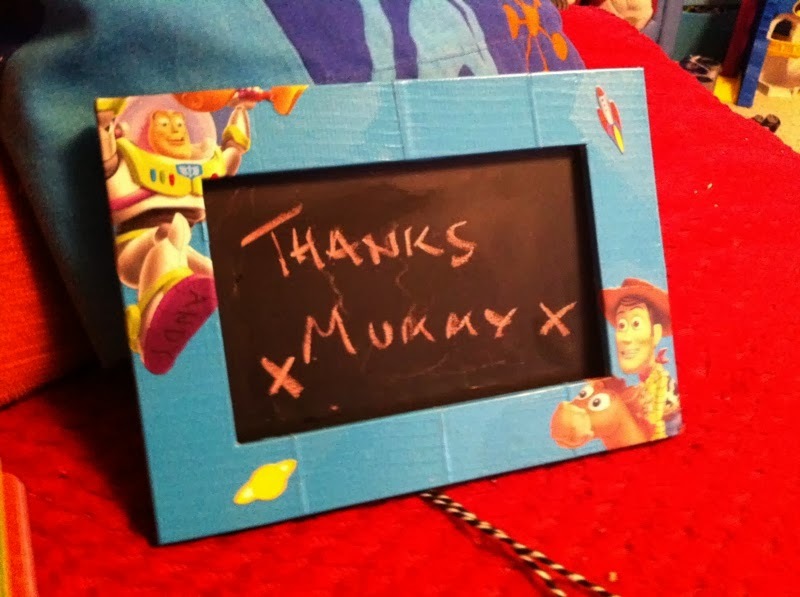 I then took out the middle and sprayed it with my ever faithful chalkboard paint. 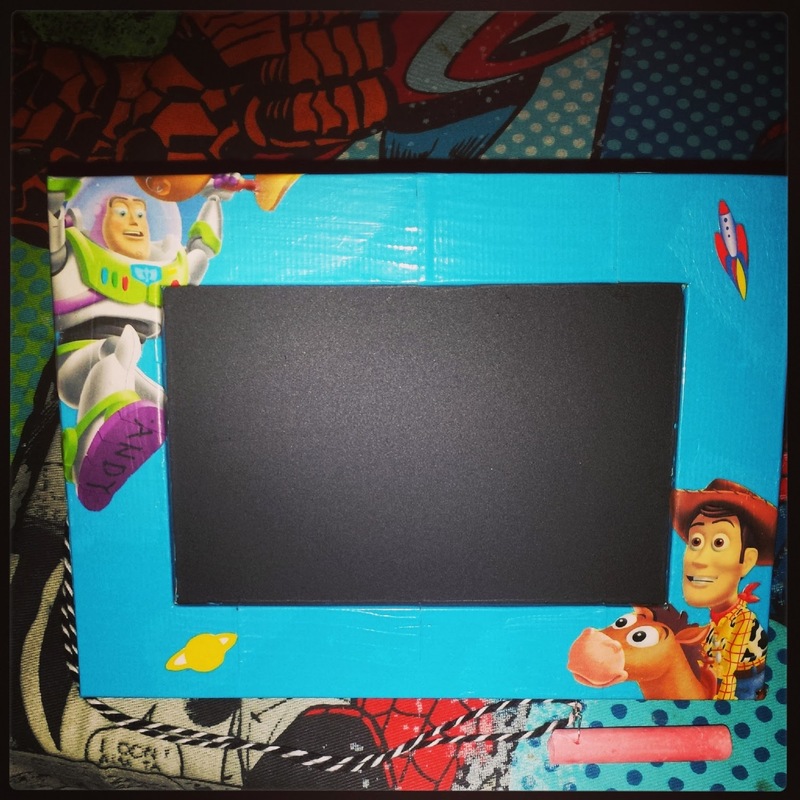 Once this was complete I felt the board looked a little bare and remembered that the little Toy Story book we bought from the charity shop was starting to fall apart so I cut out a couple of images and pasted them on the cover. The remaining images from the book are now in my decoupage drawer. Waste not, want not! I'm guessing he liked it as whilst I was out (and maybe will a little help from daddy) I received this message. Thank you Rebecca. I'm never throwing out a picture frame again. In fact we have quite a large one in the shed that hast he glass broken.... hmm where's my chalkboard paint.